Deeside Dragons took over at the top of the Laidler Conference with 2 wins over the weekend. 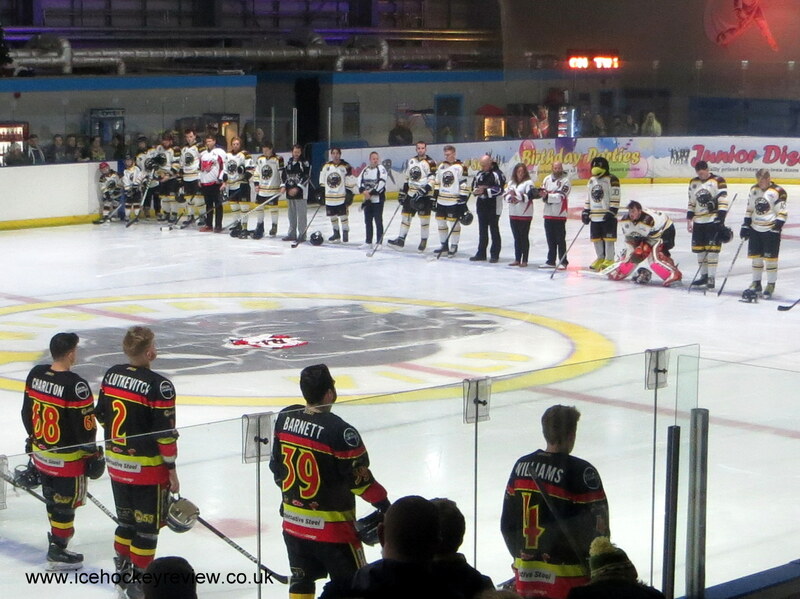 They narrowly beat Hull Jets 4-2 at home on Saturday despite being outshot 34-53 and clocking up 67 PIMs and then had a slightly easier time away at bottom team Coventry Blaze, where they won 1-9. The Dragons are now two points ahead of previous leaders Nottingham Lions – who didn’t play at the weekend and who have played a game more. 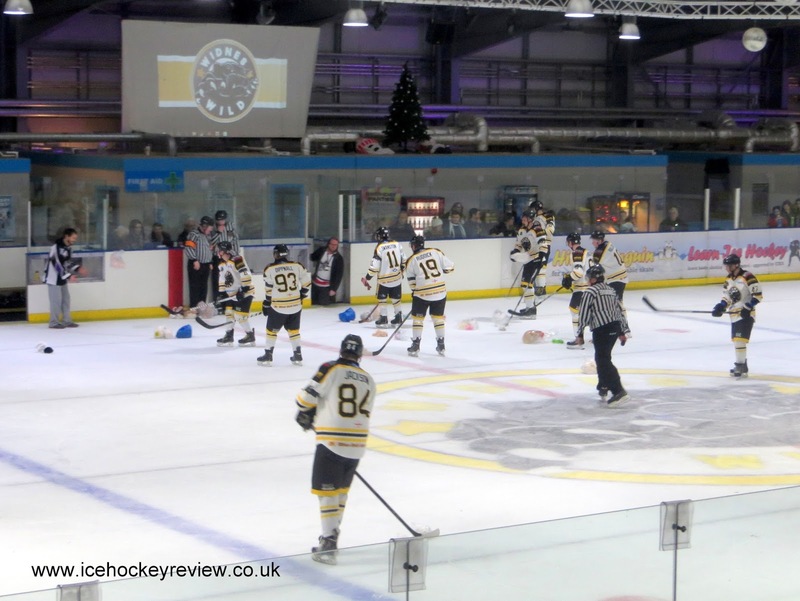 The other Laidler games of the weekend saw 3rd and 4th place Widnes Wild and Blackburn Eagles meet home and away in two bruising that saw the Wild victorious on both occasions. On Saturday night they beat the Eagles 2-7 away in Blackburn in a game that saw an unsavoury incident that required import defenceman Pavel Vales to be rushed to hospital for emergency dental surgery. The Wild were leading 5-0 by the time the Eagles scored their first in the 42nd minute. 24 hours later on Merseyside, the game was a much closer affair. Blackburn scored first and actually led 1-2 at the first break. At the second break it was a seat-edge 4-4 and the Eagles were looking much the better team but then another unsavoury incident changed the face of the game. Eagles’ normally well-mannered Bobby Caunce picked up a2+10 penalty for checking from behind on Widnes coach Scott McKenzie after the buzzer had sounded for the end of the period and Eagles player coach Scott Barnett also got a 10 minute penalty at the same time. 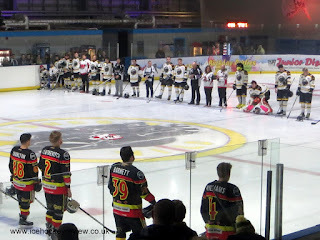 Widnes scored two goals while the errant pair were unavailable including a penalty shot for a challenge on McKenzie and the game was lost. A couple more Wild strikes towards the end of the period made the score flattering the home side. The weekend put to an end the Eagles impressive run of 5 straight wins and also elevated Widnes to second in the table, level on points with Nottingham Lions but with a better playing record.